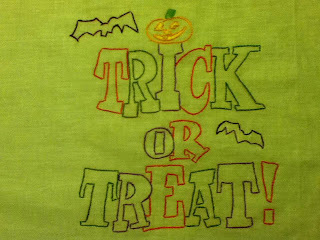 I decided to make Trick-or-Trick bags for my two little granddaughters this year. I usually buy them some sort of little tote and fill it with some treats, but this year I got more crafty. I knew what I wanted them to look like but I didn't really have any idea of how to go about getting them to look like the idea in my head, nor did I have a pattern. I can sew, but I'm not the type that can just make stuff up and have it turn out fabulous without directions. But this was just a bag. How hard can a bag be...right? Well I found out it can be pretty difficult when you go about it the way I did. Trying to piece together different colors and making one color overlap the over--especially when you have never done it before nor have you ever seen it done. But after hours at the sewing machine and a little bit of frustration, I succeeded. 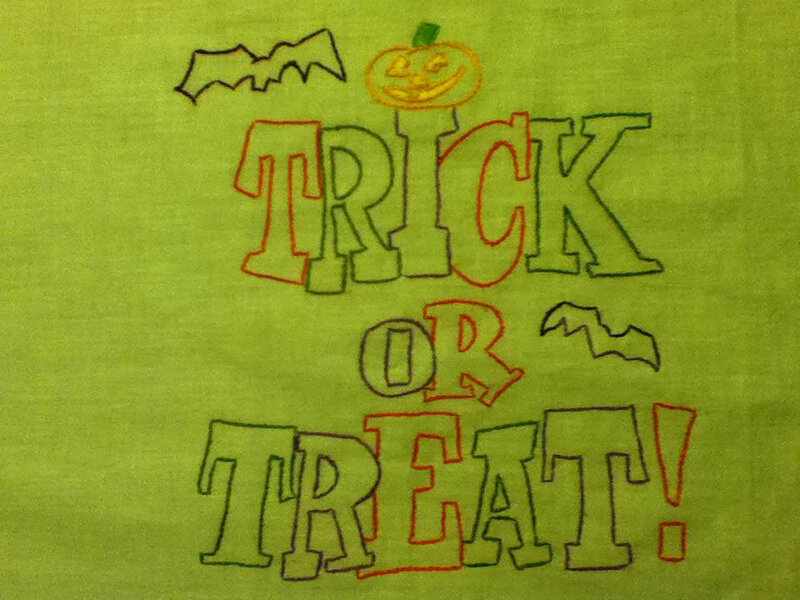 The girls will have their bags for Trick-or-Treating. These were the fabrics I selected. A glittery purple (my oldest granddaughter loves the color purple), a cute polka-dotted orange, and a fun Halloween patterned fabric. 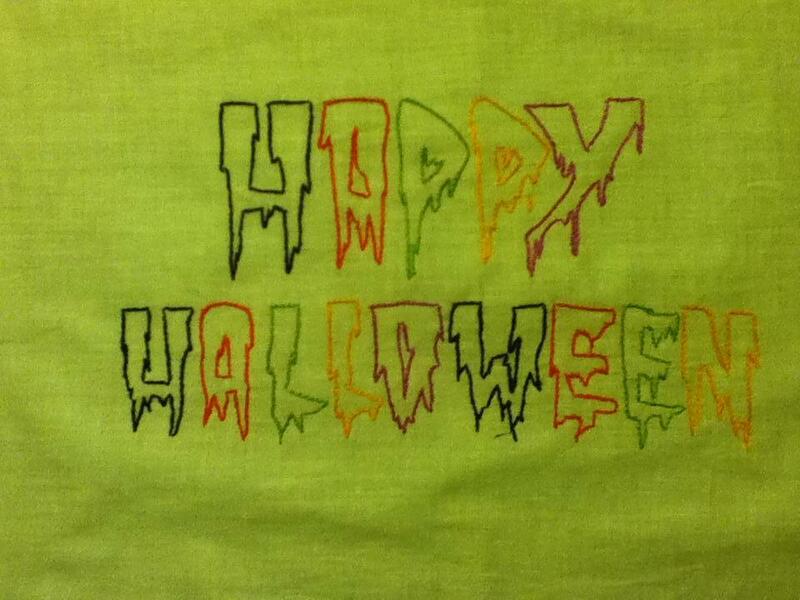 I also embroidered a spooky Halloween message for each sack. The first sack I made for my oldest granddaughter. I lined the inside with the glittery purple fabric. 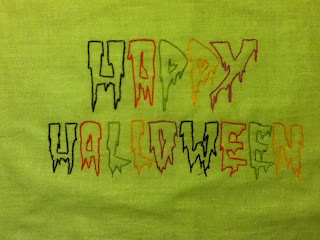 The back section is the Halloween printed fabric. This is the sack I made my younger granddaughter. I lined her's with the orange polka-dot fabric and again the back is from the patterned Halloween piece. Wowwww these are great bags!